Cricket Australia has today announced that Darren Lehmann will replace Mickey Arthur as the head coach of the Australian men’s team, effective immediately. The announcement comes just 16 days before the First Test of The Ashes in the UK. Australia’s struggles both on and off the field during the tour of India and the recent ICC Champions Trophy led to the CA Board taking such drastic action. CA CEO James Sutherland said despite the unfortunate timing, it was a decision deemed necessary with such a big series fast approaching. “The timing is far from ideal but we didn’t feel we could sit back and hope matters would change without addressing issues critical to a high performing team culture. It obviously isn’t the type of change we want to make three weeks out from the Ashes commencing but we believe a change is needed. 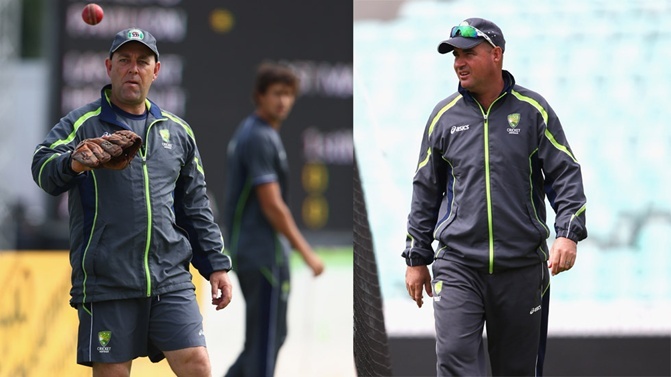 Arthur was appointed in November 2011 and since that time Australia has struggled with inconsistent performances and numerous off-field issues. Australia has won 10 of 19 Tests, 18 of 39 ODIs and 7 of 16 T20s with Arthur at the helm. Sutherland said it wasn’t a decision taken lightly. “This has been a difficult decision to make but one that we feel is necessary. We are looking to establish a high performing Australian cricket team that is consistent over a period of time. To achieve that, we need all the parts moving in the right direction. Recent on-field results have been too inconsistent. “Discipline, consistency of behaviour and accountability for performance are all key ingredients that need to improve. And we see that the head coach is ultimately responsible for that. “The Cricket Australia Board decided yesterday that Mickey Arthur should not continue as head coach of the Australian cricket team. In taking this decision, the Board accepted the recommendation to make an immediate change as being in the best interests of the team,” said Sutherland. Sutherland and CA’s Executive General Manager Team Performance Pat Howard told Arthur of the decision in person yesterday. While disappointed, Arthur understood why the decision was made. “Naturally I’m very disappointed with how this has all ended. I certainly wanted to see the job through but I accept that the team hasn’t been completely galvanised under my leadership and our performances have been inconsistent. “I’m certainly a believer in good culture and traditions much like all Australians and feel we were starting to get a shift in the right direction. We certainly need the team to be absolutely unified if we’re any chance of beating the English,” said Arthur. Arthur will now take some time out with family and friends, but he hopes to continue his career in cricket coaching. Sutherland congratulated Lehmann on his appointment as the new head coach of the Australian team and cited his exceptional record as head coach of the XXXX Queensland Bulls. “Darren Lehmann has been appointed as the new Australia head coach. He has had outstanding success in a short time with Queensland Cricket winning the Bupa Sheffield Shield, Ryobi One-Day Cup and KFC T20 Big Bash League all within the last two years. Lehmann will be contracted until June 2015 – post the 2015 Cricket World Cup,” said Sutherland. James Sutherland says Cricket Australia remains focused on returning the men’s team to the number one position in all formats of the game. The magnitude of the task is not lost on those in charge. “The Board considered him the outstanding candidate to drive the cultural change required in the team and to take it to the number one ranking in all formats of the game. No-one is underestimating the task at hand but we believe he is the right man for the job. It is up to the players to respond under his leadership and demonstrate their commitment to a successful Australian team,” said Sutherland. As part of the coaching restructure, Michael Clarke sought to step down as a selector of the team.